Like 98% of the Pinterest-verse, I’d seen and pinned the ubiquitous “one-pot pasta” recipe where you put dry spaghetti, tomatoes, onions, and garlic into a cold pot of water and cook it all together. I thought it sounded like a great idea and planned to try it at some point, until the ever-reliable Smitten Kitchen posted about how she’d tried it but the pasta had turned out all soft and gummy. That’s when reason prevailed and I realized that what she said made total sense from a chemistry standpoint. And given my hatred of over-cooked pasta (one of our nation’s great failings), this wasn’t going to work. 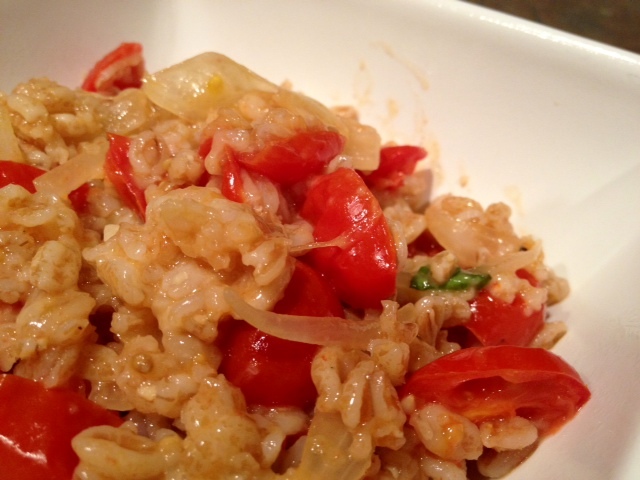 Instead, she submitted this recipe instead, and she never steers me wrong. 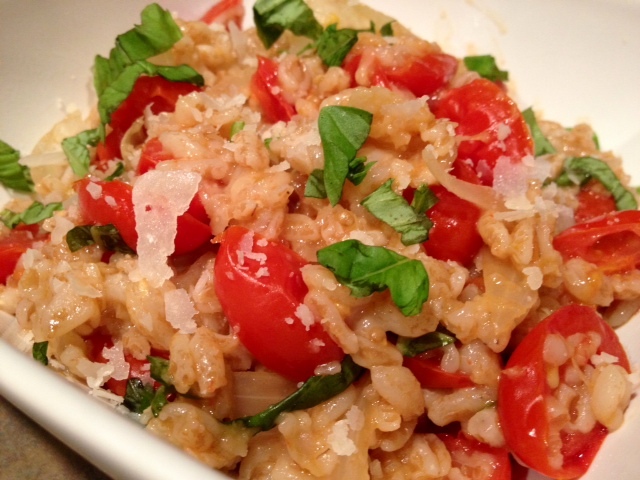 It uses the exact same technique but substitutes a hardier grain—farro in this case—for the soft processed pasta. 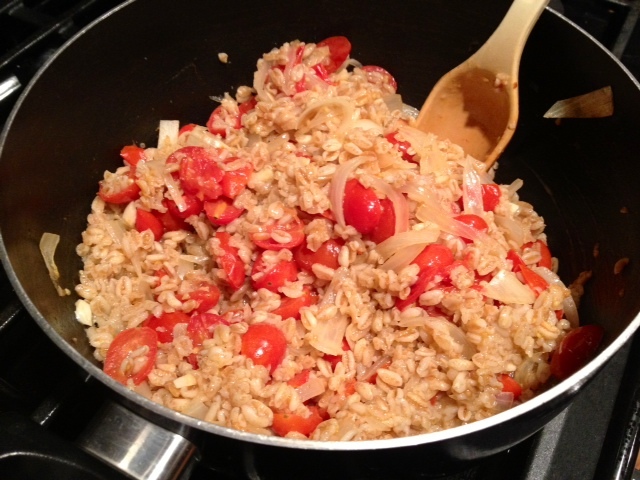 Farro is better able to stand up to this kind of cooking process. This dish was like a harbinger of fall—while the grape tomatoes were still bursting with summer flavor, the rich, silky sauce that formed around the nutty, chewy grains was like a warm hug. I’m not ready for fall just yet, but this is working on forcing me to get there. 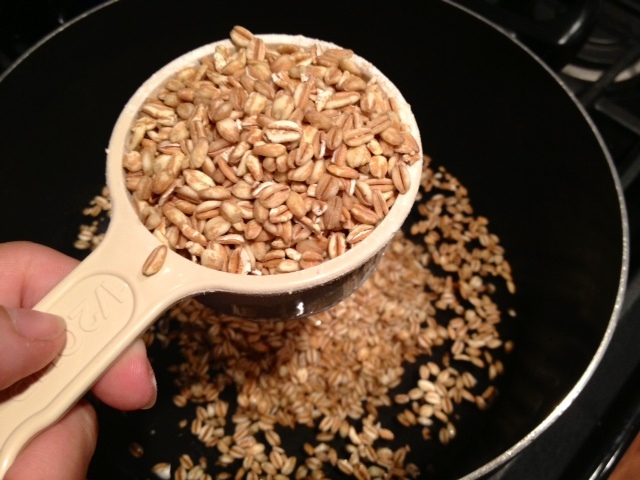 Place the water and farro in a large saucepan to presoak for 5 or 10 minutes. 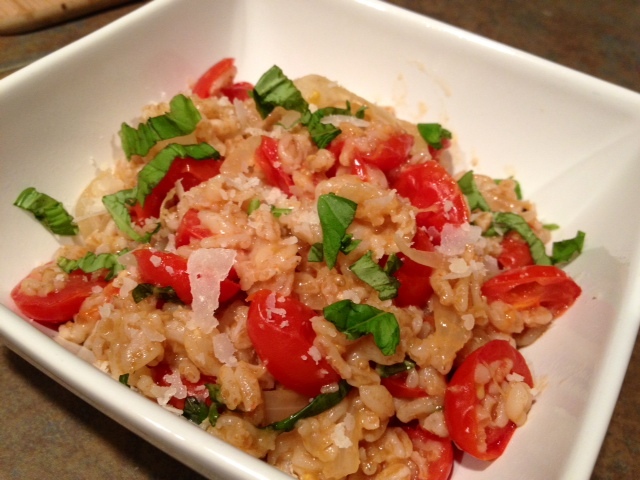 If you have questions about types of farro, definitely consult Smitten’s post linked above. I just used the stuff from Trader Joe’s, it’s in the rice and pasta aisle. While the farro is soaking, you’ll prepare the rest of the ingredients. 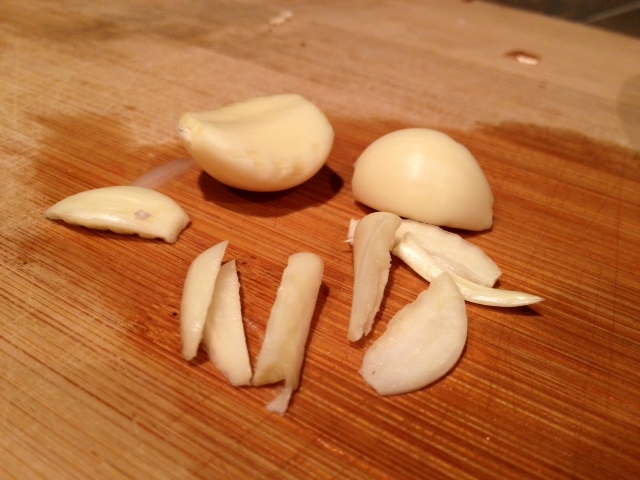 Start by cutting the onion in half again and slicing into thin quarter-moons. 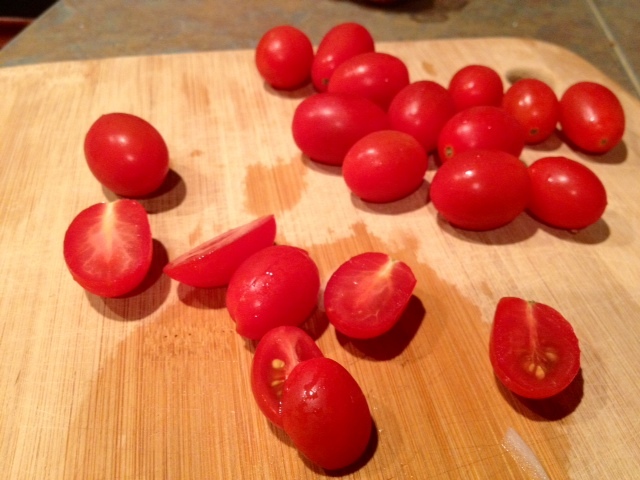 And cut the cherry tomatoes in halves or quarters. Add each of these ingredients to the pot as you finish preparing them. Add the salt, pepper flakes (however hot you want it, but wouldn’t recommend more than 1/4 teaspoon) and 1 tablespoon of the olive oil to pot as well. Turn the stove on high and set the timer for 30 minutes. Bring the pot to a boil (uncovered, you don’t need a lid) and then reduce to a gentle simmer. Let it cook the remaining time, stirring occasionally. When the timer goes off, you’re basically done. I mean, how easy was that?! The farro should be the perfect texture–tender but kind of chewy—and the water should be almost entirely absorbed. Stir in some parmesan right now, for good measure (kind of like you’d do with risotto). 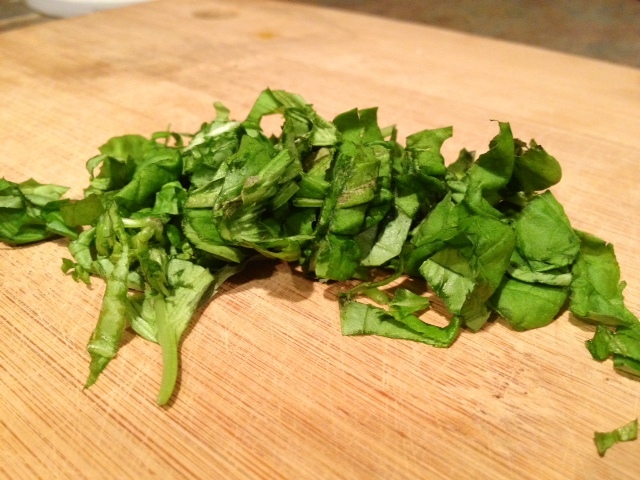 Chiffonade up some basil, just for some awesome flavor and color. 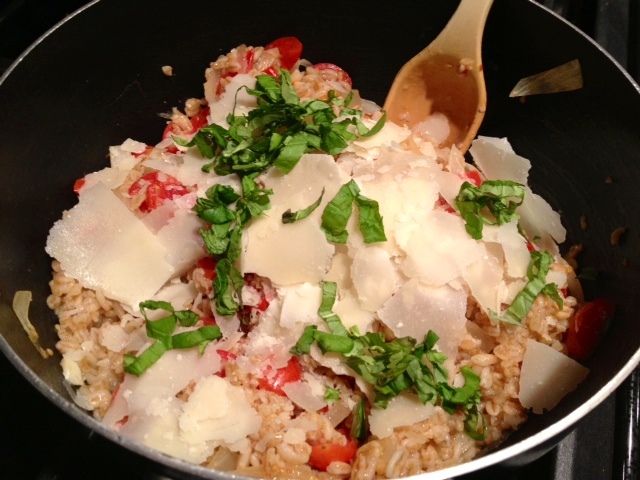 Garnish with the basil and more parmesan cheese and you’re in business. I actually ate this the evening going into a 24-hour food and liquid fast, and it stayed with me surprisingly well. The flavor was complex but still really subtle, and the texture was awesome—definitely better than the pasta would have been. I was also kind of surprised by how easy this recipe was. You make it in a single dish, and besides chopping up the onion and tomatoes, there’s very little prep work or even hands-on time. It will definitely be going into my regular rotation this winter. I’m excited to try this same basic technique and premise with some other grains, like barley, quinoa, or wheatberry. If you’ve given it a try and loved it, let me know! 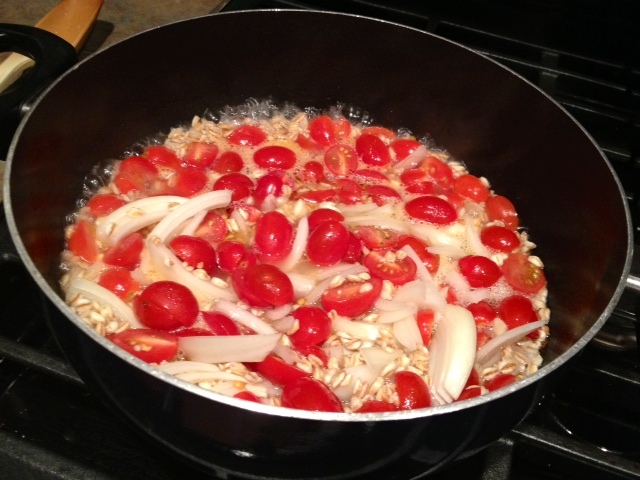 Place the water and farro in a large-ish saucepan to presoak for 5 or 10 minutes. 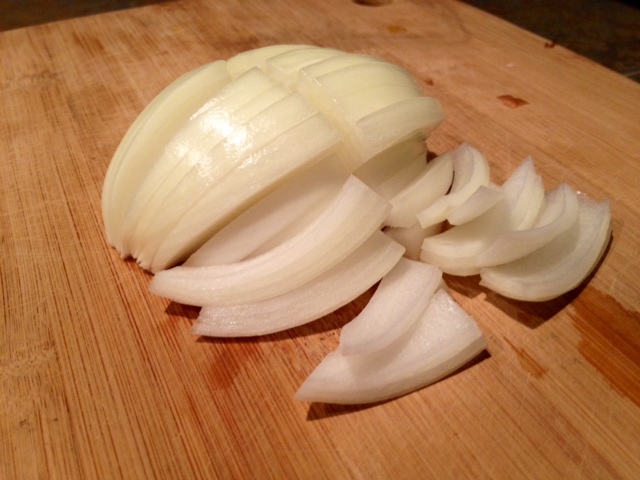 While it’s soaking, cut the onion in half again and slice into thin quarter-moons. 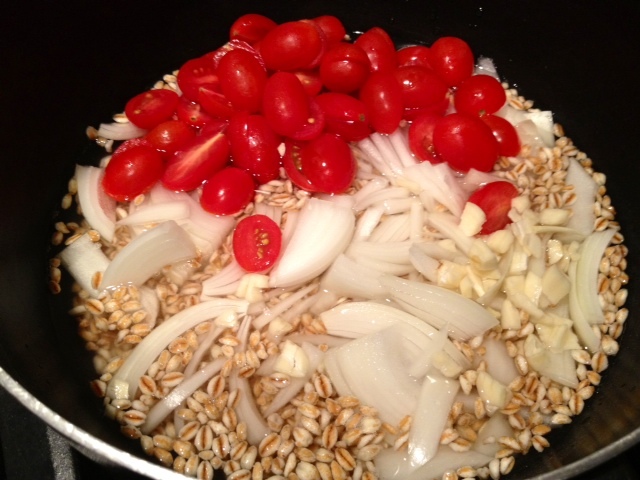 Mince the garlic and cut the cherry tomatoes in halves or quarters. Add each of these ingredients to the pot as you finish preparing them. Add the salt, pepper flakes (to taste) and 1 tablespoon of the olive oil to pot as well. Set the timer for 30 minutes and bring the uncovered pot to a boil (you don’t need a lid). Once it’s boiling, reduce to a gentle simmer and let it cook the remaining time, stirring occasionally. When the timer goes off, the farro should be the perfect texture–tender but kind of chewy—and the water should be absorbed. If you had to, you could cook a little longer if, for some reason, it’s not quite done. 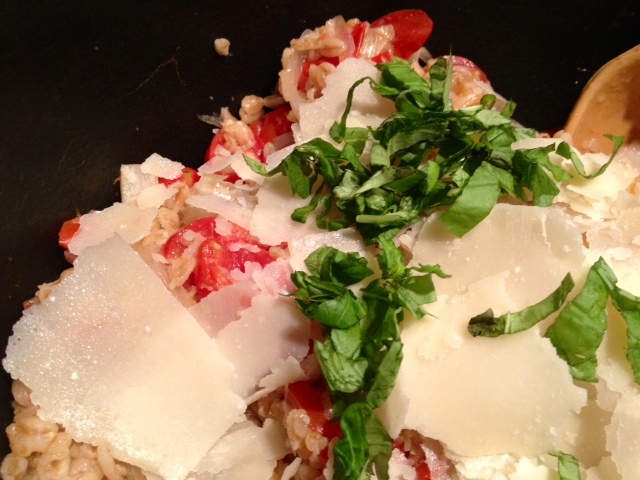 Stir in some of the parmesan, like you would a risotto. 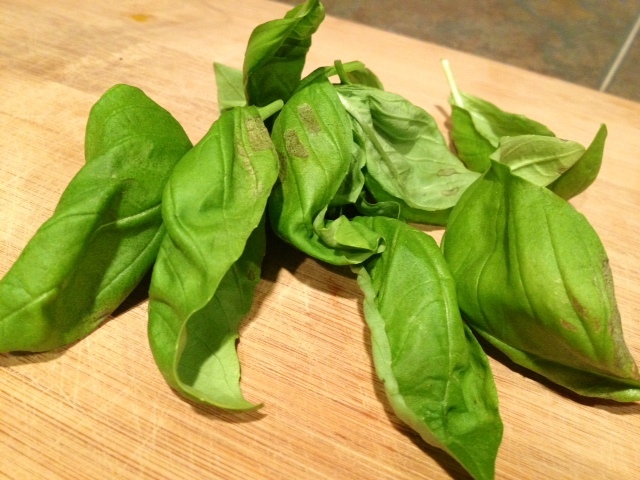 Drizzle lightly with olive oil and garnish with the basil and parmesan, and serve immediately.